*It depends on snow conditions. Below season is different price. Please click here. You don't have to bring anything! Includes full wears and equipment rentals. 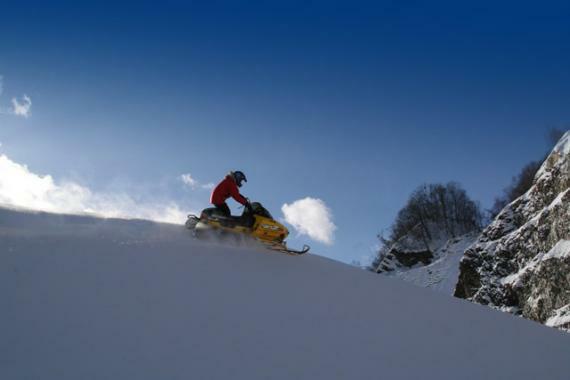 Snowmobiling is a truly rich snow sport experience for the adults. The trails stretch out 90 kilometers in total, making our facility one of the largest in Japan. From the mountain trails, you can enjoy the view of the city and the ocean, as well as the chance to encounter wild animals such as fox, rabbit, deer, squirrel, woodpecker, and owl. Our experienced instructor will guide you! Therefore, you can enjoy the ride with no worries. These programs are available for 4 months of the year. We spend the remaining 245 days training ourselves to be the best guides. 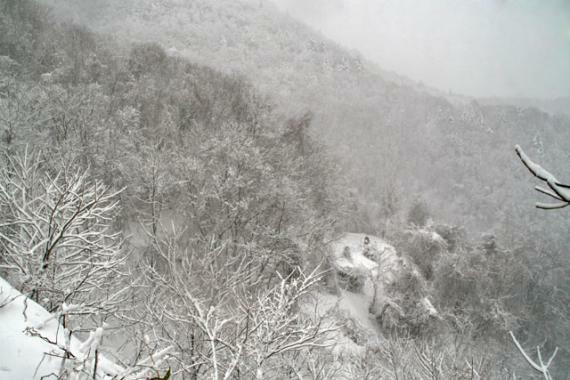 You can enjoy beautiful view from the mountain trails!! * This program is except 31 Jan 2019- 12 Feb 2019. If you would like to book this period, please book from Course No:4837. You'll need additional time for changing clothes and practice. - If you are using your own transportation, please specify your preferred schedule activity time: hours are between 9:00 and 17:00. 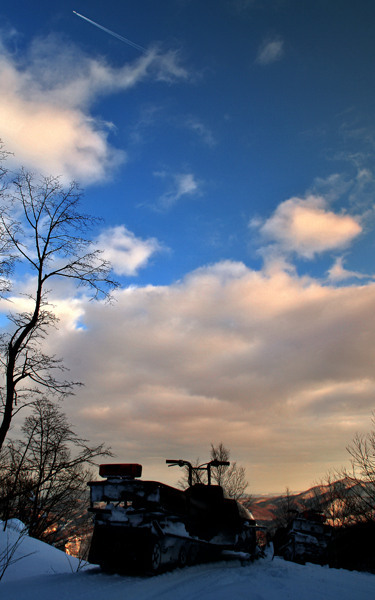 - If you are riding the shuttle, hours are adjusted to suit the shuttle bus schedule. See the details bellow. - No license is required. - Only an adult male can accompany a child participant. 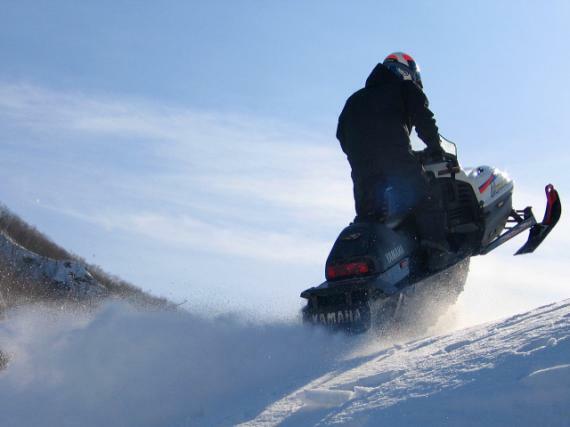 - Although ages 20 and up are generally possible for safely operating a snowmobile, we will make the final decision on site due to the challenges presented by our course. -A participant who rides with our guide will be charged 50% of the regular fee. - You cannot ride if you are under the influence of alcohol or drugs. Nothing specific as this program includes basic equipment rentals such as helmet, boots, gloves and snow suits. (The maximum size of the rental wear is LL size. 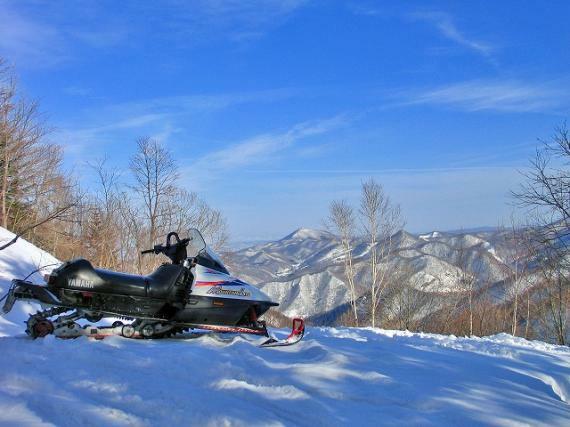 Guide fee, rental fee of snowmobile, helmet, boots, gloves and snow suits. *Meeting place and time is announced from the guide after booking. * No pick up/drop off is available from Sheraton Sapporo Hotel, Renaissance Sapporo Hotel, or Chateraise Gateaux Kingdom Sapporo. Free shuttle bus is available upon request. Please reserve your seat. - Please note that the Shuttle bus leaves Snowmobile Land Sapporo after all customers have finished their runs. It may take up to an hour to wait. - No pick up/drop off is available from Sheraton Sapporo Hotel, PERMIER HOTEL -TSUBAKI- SAPPORO, or Chateraise Gateaux Kingdom Sapporo. - One way ride (from town/to town) is available. Please ask us. -Since the shuttle bus stops at different hotels, you may have to wait as long as one hour (it depends on the pick up /drop off route of the day). - Please make sure to be at the waiting point at least 5 minutes prior to the designated time. - Bus schedule may be altered depending upon weather conditions. Cash (yen) only, please pay on site. Since this is special website discount, credit cards are not accepted. -We will send you confirmation via e-mail (please insure we don't end up in your spam folder). -The tour can be held in a snowstorm, heavy snowshowers or in heavy rain if we confirm the safety of the course, but you have the right to choose whether or not to go. If conditions are too extreme, we may decide to postpone it. -Please be assured about our concern for safety, as we check the courses three times a day and maintain them by smoothing with snowcats at night. Our experienced guides are always alert to weather changes and will guide you safely through the routes using real-time information provided by other guides. -Practice time is provided in a flat area before going into the mountains. Anyone can easily learn to maneuver a snowmobile! -Please don't hesitate to let your guide know if you feel uncomfortable or if the tour is too much to handle in order to avoid accidents. -As in all motor sports, accidents may happen. We ask you to assume full responsibility for your actions. In the event that the fault resides with us, we have insurance coverage. -In order to conserve the environment, we ask that you limit what you bring to a camera, tissue paper and drinks. -You cannot ride if you are under the influence of alcohol or drugs. -The maximum size of the rental ware is LL size. If you are bigger than LL size, please bring your own warm winter wear. It's been 20 years since we opened this Japan's largest snowmobile park with a stress on the "Rich experience for the adults" concept. Come join us and enjoy the cruise on the tracks that total in 90 kilometers in length! This is a snowmobile guided tour. No experience is necessary. First timers are welcome.